Australia is one of those countries that you don’t quite realise how big it is. But its area is over seven million kilometers squared. With a population of around 24 million. That’s big. Aussies have a reputation for being quite tough individuals. But actually, the great wilderness can spook us every now and again. And may Aussies wouldn’t last five minutes without a decent coffee. However it isn’t just our drink we are bothered about, we are big into food. As you know from my blog. So I thought I would put together a quick guide about the best foodie inspiration from some of the most well-known cities in Australia. I hope it helps you when you next visit them. Not only is Melbourne known as the world's most livable city, but it is also famous for it’s coffee. While I know I mentioned that this would be more food related, we can’t mention Melbourne without taking homage to the coffee. There is a real difference in coffee culture. It has an air of sophistication and making a point of rich layers of flavour. 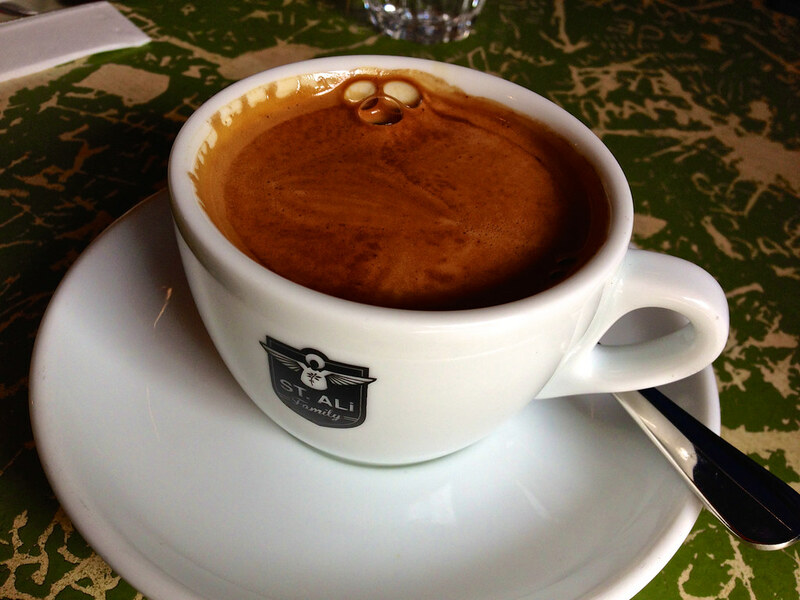 A culture should be about an escape, and that it is when you are presented with coffee in Melbourne. It’s an experience. Just like eating in a restaurant is or trying a new food. Which is why it’s so important to make you aware of just how good it is. The city of Perth has a varied food scene. You can indulge in Spanish flavours, gauge on French cuisines or just stick with something Australian. There is something for everyone. However, you can’t mention Perth without considering how good it is for any meat lovers. From steak to genuinely the best ribs in Perth you can’t go wrong. So whether you prefer your meat seasoned and flavoured from tastes all over the world. Perth has it for you. While it may not be mainly known for it’s seafood, Sydney has a great advantage for fish lovers. John Dory, being one of the most famous white fish to eat is available in the Sydney waters near the harbour. Meaning if you like your fish and seafood fresh, then you can’t get any better than that. With many fish and seafood restaurants serving John Dory as well as other options, you can’t go wrong coming here if you love your fish. If you love your French cuisine, then Cairns is the place to go. There number one restaurant offers French cuisine. With traditional entrees like escargot down to a beef eye fillet and a creme brulee dessert. French cuisines aren’t for everyone, but if you love it then make sure you check Cairns out. There is no doubt about it; Adelaide is famous for it’s wines. 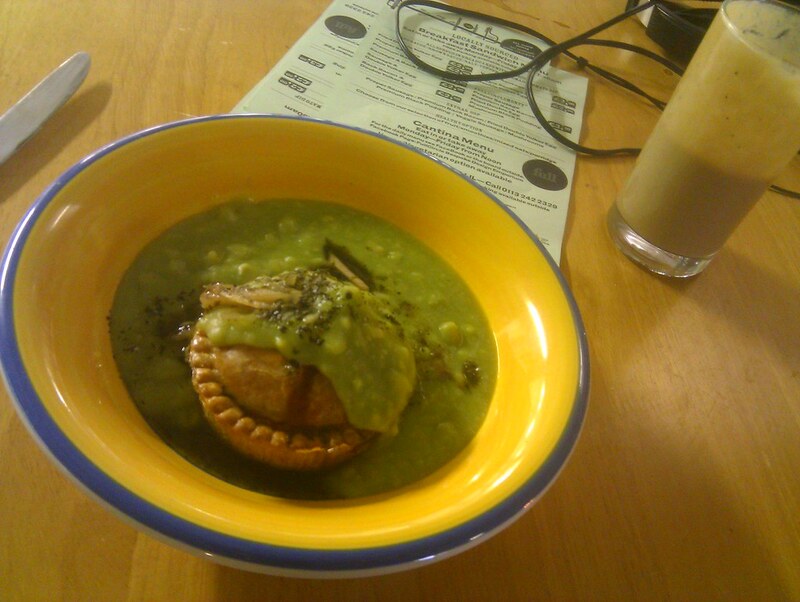 But there is also some iconic food choices to sample and the pie floater is one of them. While it may not be the healthiest, if you do enjoy the fine wines you won’t be able to refuse this meal. You start with a pea soup and then add an Australian meat pie in the middle. Most often topped with a tomato sauce. If you are feeling extra brave, you may add mint sauce or malt vinegar. I would say Adelaide is more famous for the Australian choice of foods than anything else. I hope you are feeling more informed of some of the best foodie choices to make when it comes to visiting some of the cities in Australia. No matter how hard you try to be healthy, there are always those days where you are just too exhausted to make a meal from scratch. It’s these days that can often lead to your falling off the wagon and treating yourself to a ready meal. Being healthy day in, day out, doesn’t always seem doable. However, the truth is, if you plan in advance, it can be. 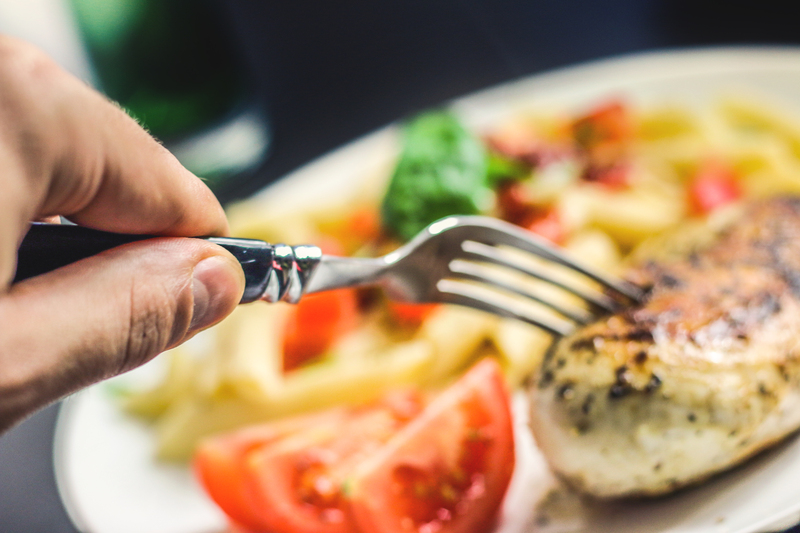 To make being healthy with your meals easier, follow these tips. Instead of turning to ready meals or takeaways on those nights when you have no energy to cook, rely on freezer meals. Once or twice a month, spend a morning cooking a selection of meals that you can portion up and freeze. These should be healthy dishes that can be reheated from frozen. Things like vegetable lasagne, chili con carne, and pasta dishes are all ideal. Aim always to keep your freezer stocked up with healthy meals that you can use for days when you just don’t have the energy to cook. One of the best things you can do to make being healthy day in, day out easier, is prepare in advance. On the weekend, prepare for the week that’s coming and get your meals planned out. This means heading to the shops to buy any ingredients that you might need for the week. Another option to consider to make creating healthy meals even easier, is using Home Chef meal delivery service. This service, and others like it, deliver your week’s meals to your door, all you need to do is follow the recipe guide and put each dish together. This will make cooking a healthy meal each night much easier as everything will have been measured and weighed out. All you’ll need to do is throw the dish together. If your kitchen isn’t well equipped with the right appliances, cooking healthy meals will be harder than it needs to be. That’s why it’s important that your kitchen has all the appliances that you need to make healthy, homemade meals. The essentials that your kitchen should have are a slow cooker, food processor, and a blender. A slow cooker is ideal for popping your dinner on in the morning, before leaving the house for work, so that when you get home it’s all cooked for you. A good quality food processor makes it much quicker to dice, slice, and chop ingredients up. They can be expensive, but they’re more than worth the cost. As for a blender, when it comes to making soups, sauces, and smoothies, a blender is your best friend. It’s so quick and easy to use. Sometimes we all have those days where all we want is a pizza and a big glass of wine. However, to ensure that your healthy eating stays on track, most of the time it’s best to opt for a healthier alternative. For ideas and inspiration, take note of the suggestions above. Breakfast is the most important meal of the day. It get’s your brain working and pumps up the body. It’s important for losing weight too because it fires up your metabolism. If you’re on a diet, make sure that you’re not skipping breakfast. Otherwise, you’re going to find losing weight difficult at best and impossible at worst. Due to the importance of breakfast, I think it’s crucial that you get everything you need each day, by planning a great, healthy meal. A lot of people settle for a glass of juice and some cereal. That’s not enough if you want to stay healthy and keep your body in great shape. I don’t recommend you buy juice from a store. There’s a far healthier option. Buy your fruits and make the juice yourself. All you need is a squeezer and you can have a great fruit drink that is completely natural. If you buy juice from the store, you might think that you're healthy. You’re not though because store juice is packed with sugar. Read the ingredients and you’ll be surprised how much sugar you get from one glass of orange juice each day. If you don’t like the natural flavor, try mixing and matching different juices. You might find that you discover the perfect blend of tastes. Is it bad to have coffee each day? Well, yes and no. I have to admit, drinking coffee each and every day isn’t going to do wonders for your teeth. But it does give your brain a good kick and makes sure that you’re ready for life challenges. Coffee is like everything else. In small quantities, it’s not unhealthy and can be good for you. A good cup of Jo will also jump start your bowel, and that’s important. A healthy bowel movement is a great start to any day. You may want to get a great coffee maker to get the most from your morning cup. You might be looking for the Saeco Vienna Plus if you’re a regular coffee drinker. Where did the Saeco Vienna Plus go? (Find its replacement here). A glass of juice is a good start to the day, but you do need a little more fruit too. I recommend a banana or melon because I love that fresh, sweet taste in the morning. A great tip is to cut the fruit into pieces and put it on top of your cereal. Mixing all those flavors up creates a delicious meal that you’ll love getting out of bed for each day. Finally, if you have time, cook yourself some eggs in the morning. Eggs were once considered bad for you due to high levels of cholesterol. Researchers have suggested cholesterol in food doesn’t have the effect on blood pressure reported. Eggs are packed full of vitamin D, which is important when you’re trying to keep your body healthy. Let me know what you have for breakfast each day to keep your body healthy. 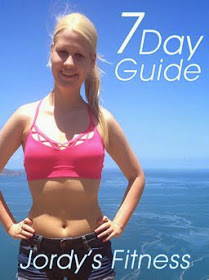 If you are trying to lose weight and live a healthier lifestyle, it can sometimes be difficult to know where to start. You don’t need to change your diet drastically, though. Making small alterations to your normal life can make a huge difference. Remember, eating in moderation and regular exercise are the main things needed to lose weight. You can find nearly every meal as a ready meal these days. Roast dinner, lasagne, burgers; you name it, it’s available. But your favourite meals can still be a possibility in a healthy lifestyle; you just need to make the effort of making it yourself. Cooking meals from scratch is much healthier for your body; you can control what ingredients you are using, how much fat is included, and size portions. Ready meals tend to have much higher levels of salt, sugar, and additives than you would ever use in home cooking. Eliminate all of these by simply preparing your meal yourself. Adding fibre to your meal is a great way of keeping you feeling fuller for longer. Try brown rice, pasta and bread instead of white options, as these take longer for your body to digest. Adding beans and pulses to a meal is also a great way of filling up, and saves you money as they are a cheaper alternative to meats. When frying food, it is often easy to overdo it on the oil. Try investing in a good pan, so you are able to cut down on these. The healthiest cooking pans are non-stick, meaning you will only need a drop of oil, if at all. Also, try healthier oils. Coconut and olive oil are much better for you than sunflower and vegetable. We all know that too much sugar is bad for us. But, in baking most recipes list sugar as a major ingredient. Try replacing some of the sugar with healthy alternatives, such as organic honey, fruit, dates and coconut sugar. Play around with them and decide for yourself which works best. When cooking and preparing meals, make sure you use fresh vegetables rather than frozen. Frozen and pre-prepared veg tends to be more expensive and treated with chemicals. They lose many of their vitamins and nutrition during processing, and fresh always tastes much better! Most people love cheese, and will happily add it to any dish. 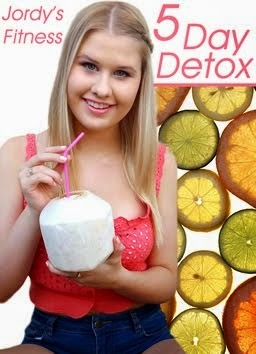 But unfortunately, it is quite fatty and not very good for our bodies. Try adding a smaller amount of stronger cheese, that way you will still get that cheesy taste and texture, but with less calories and fat. cooking from scratch is not as popular as it used to be. This is primarily due to the increase in pre-prepared, convenience foods being sold by supermarkets. Many people’s attitudes have also changed towards cooking. Many see it as time consuming, overly stressful and unnecessary. While cooking from scratch does require time, patience and practice, it can also enrich your life. Here are three amazing benefits that you can gain from cooking from scratch more often. One of the top benefits of cooking from scratch is the control it provides you. When you buy fast food or pre-prepared food, you have no control of the ingredients that are used. These foods often have high salt and sugar levels, which aren’t good for your body if consumed regularly. But cooking from scratch gives you full control of what ingredients you use and how much. You could lower the sugar, fat, and carbs used in a recipe. You can swap ingredients for healthier alternatives too. Cooking from scratch also stops you from ingesting harmful chemicals and preservatives. So if you’re health conscious, it’s one of the best things you can do. Cooking from scratch can pique the curiosity of your friends and family. They will want to see you in action and may even want to try it out for themselves. You can share your skills with your loved ones and teach them how to use devices such as a pasta maker or skillet pan. They can ask you questions and help you create delicious meals and snacks. Not only will this make cooking more fun, but it will also encourage you all to sit down and eat together. This can help you strengthen your relationships and get to know each other better. Another benefit to cooking from scratch is that it provides a positive, creative outlet. It gives you the opportunity to use your imagination and experiment with textures, flavours, and colours. It can open you eyes to ingredients you’ve never heard or and techniques that could enhance your skills. You can also change the size and shapes of your culinary creations to make them more fun. For instance, instead of making a large sponge cake, you could create smaller ones in larger numbers. It can also teach you to showcase your style and personality with unique food presentation and decoration skills. Having a creative outlet like this can help you reduce stress and anxiety. This can assist you in keeping your physical and mental wellbeing in check. So don’t just stick to buying convenience or fast food each week and start spending more time in your kitchen instead. The more cooking from scratch you do, the more confident and skilled you will become. Why not host a weekly dinner party with your loved ones to put your cooking skills to good use.